Sir Kenneth Grange, designer, is interviewed by Kirsty Young for Desert Island Discs. Sir Kenneth Grange is a designer. He's been designing elements of our everyday lives for the past six decades. Born in London in 1929, he went to Willesden art school aged fourteen and four years later he left and embarked on a remarkable career. He is still working today at 87 years old. "Why would I stop? I mean, if a bloke can play the piano, you don't stop him playing it, do you?" His long career stretches from the early days of modernism to the digital age. One of his first big jobs was working for the Festival of Britain in 1951. He was co-founder of the design studio Pentagram, led a life with strong echoes of TV's "Mad Men" for a while, and his work has infused the texture of the UK. His designs include the first parking meter, the Intercity 125 train, the Kenwood mixer, the Morphy Richards iron, the Wilkinson triple razor, bus shelters, the black cab, the Parker 25 pen and the Anglepoise lamp. He's also the reason we no longer get wet when we fill our cars with petrol: he designed petrol station forecourts with roofs. 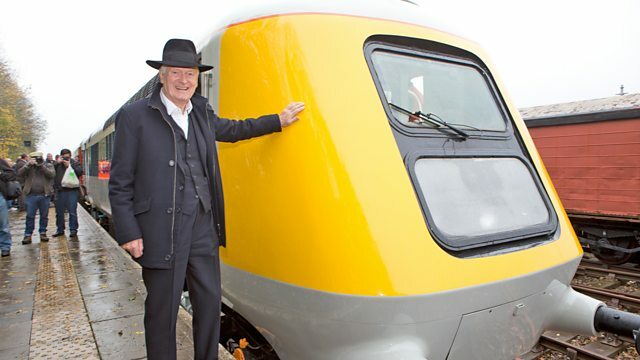 In 2013 he was knighted for his services to design, and in 2016 an Intercity 125 was named Sir Kenneth Grange. Performer: Frode Olsen. Orchestra: London Philharmonic Orchestra. Conductor: Sir Andrew Davis.